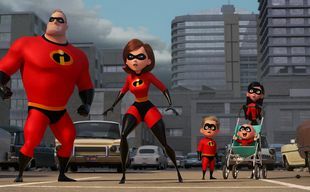 Following a botched mission the Parr family faces arrestation, and as being a superhero is still illegal, their future seems more than sombre. However, the leader of a telecommunication company wants to launch a new marketing strategy and rehabilitate the public image of Supers. 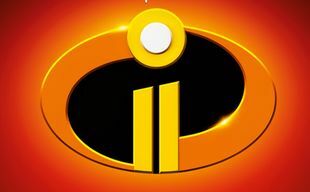 They need Elastigirl to help them. 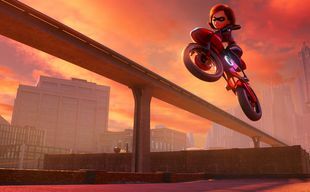 While Elastigirl must stand her ground at work, Mr. Parr becomes (willy-nilly) a stay-at-home Dad, and soon he finds that raising three troublesome kids involves greater difficulties than saving the world, especially now that baby Jack-Jack has some new and annoying superpowers and he is not afraid to use them (for example when he wants cookies). But Mrs. Parr will also have her own concerns as she has to deal with a new supervillain called Screenslaver, who is menacing the world with his mind control abilities. 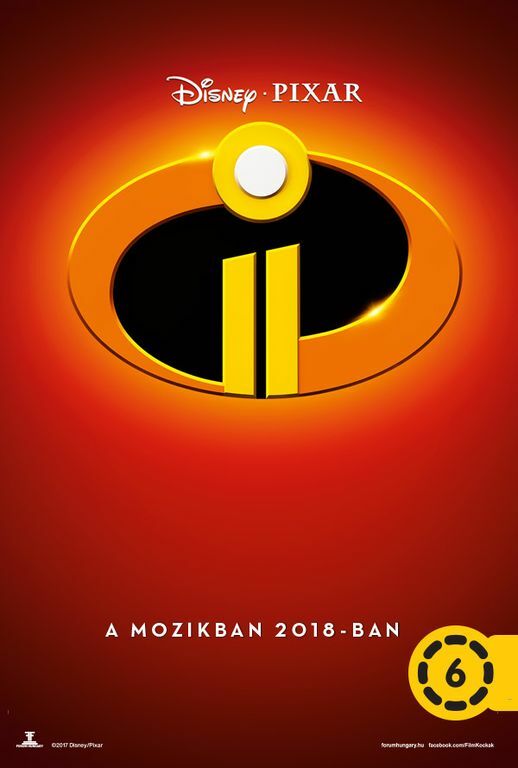 Incredibles 2 is a wonderful movie to watch together, as director Brad Bird has a real knack of telling a funny yet smart story about family life, and make it entertaining for kids and adults alike. 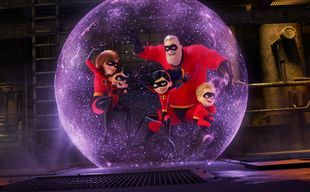 It is a superhero film, a comedy, a political drama and a cute fairy tale at the same time, resulting in a very pleasing movie experience. 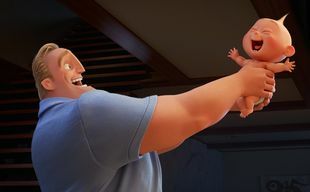 This time the roles have switched: Bob Parr has to stay home and babysit while his wife saves the world.